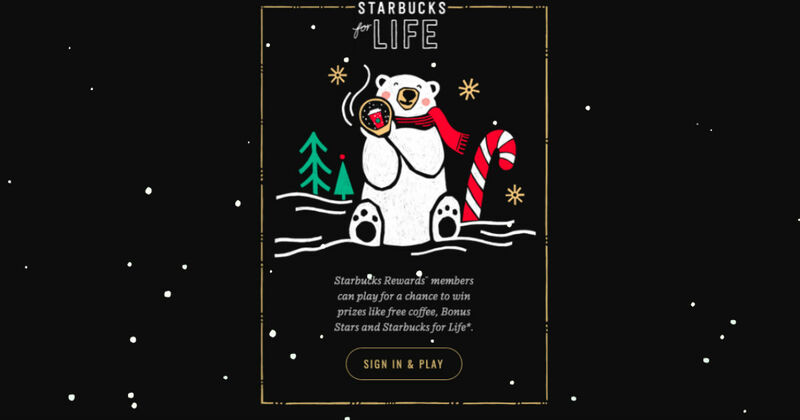 Starbucks Rewards members, sign in to your account to play the Starbucks For Life Instant Win Game for a chance to win 1 of 1 MILLION bonus stars prizes. Plus, enter to win FREE Starbucks for a week, month, year, or for LIFE! Bonus stars will arrive via e-mail within 24 hours.